Continuing with the interest in standing desks, here is one of several models available from Swedish office furniture maker Kinnarps. You can see a small switch pad at the right with up and down arrows. 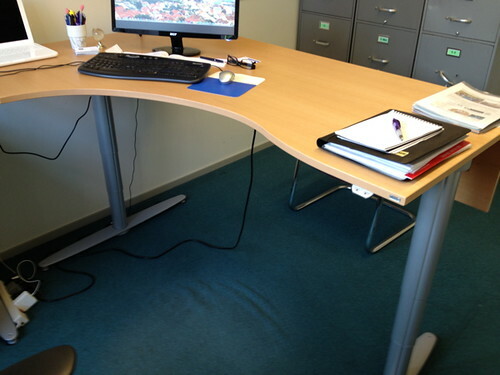 This lets you zip the desk up and down to suit the working height you wish at a given moment. Much better photos and more information at their site.